TThere are 11 official languages in South Africa, and each culture finds expression in objects. From sculptures and stone carvings, to wire animals, textiles, beaded works, pottery and basketware, this is a shopper’s paradise. There are also traditional artefacts that may interest you: ostrich shells, wooden sculptures and face masks make for wonderful mementoes. 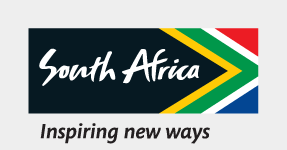 Look out for goods that are Proudly South African to support the local industries and sustainable development. Because South Africa was isolated for so long, small country towns will often have exceptional antique stores. With our can-do attitude, you’ll also find the markets packed with incredible and unique goods. From special African teas to paintings of South African icons, you can spend hours here. While you can bargain at some places, keep in mind that for many artisans their income feeds a whole family. If you can afford to, pay what is asked for—it’s very likely that it’s still a huge bargain. WWith gold and diamonds being among our most-famed resources, jewellery and gemstones such as tanzanites are hugely popular. While here, visitors are always keen to taste and buy incredible wines. Joburg, in particular, is a favoured shopping destination for millions of Africans who come to stock up on goods they might not be able to get in their country. Because large parts of South Africa are rural, people also come in from the countryside to shop. Many of the major city centres have massive malls, where all amenities can be found. When you’re en route in South Africa, you might see minibus taxis with massive trailers behind them. Foreigners can claim a Value Added Tax (VAT) refund on purchases. To do this, your tax invoice must clearly show the seller's name and address, their VAT registration number, a description of the purchased goods, the price of the item in ZAR and the amount of VAT charged. VAT is levied at a rate of 15%. For purchases over R3000, you will need to produce the buyer's name and address. No matter what you buy, the favourable exchange rate means that you’ll get incredible deals.